Explorateur: France's Triple Crème Salute to the U.S.
Who says the French don't love Americans? They created Explorateur— the creamiest and most luxurious of all French cheeses—in honor of our first U.S. satellite, Explorer One. Quite a tribute—and, fittingly, it's out of this world! We can almost promise that this cheese, made in the Isle de France region, will be the most decadent cheese experience you'll ever encounter. Indulge in it with close friends! A full pound of Explorateur will easily serve 12 people. Triple crème cheeses are the creamiest and most luxurious of all French cheeses and this has to be “la crème de la crème,” so to speak. 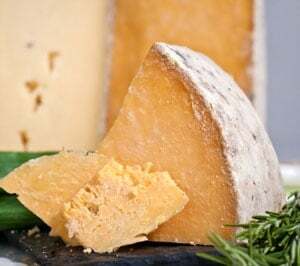 They're made by adding extra cream to the fresh curd used to make soft-ripened cheese, and by law these cheeses must contain at least 75% butterfat. 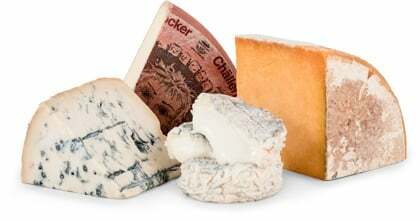 Triple crème cheeses are cured for about three weeks before they develop their very thin, downy rinds. Among the most famous are French Saint André , Explorateur, Brilliat Savarin, and Pierre Robert. The U.S. Army launched Explorer One on January 31, 1958—American's response to the Russian s launching Sputnik in October 1957. With it the Soviet Union also launched the Space Race as part of the Cold War. Explorer One used a rocket that had been developed to test guided missile components. The U.S. satellite orbited the earth every 115 minutes, 220 miles above the surface at its closest point and 1580 miles at its farthest. It measured cosmic rays and micrometeorites, transmitting this data until February 28, 1958. Explorer One proved that the Earth is surrounded by intense bands of radiation, now called the Van Allen radiation belts. You can see America's answer to Sputnik at the Smithsonian National Air and Space Museum in the Milestones of Flight Gallery.